The College of Eastern Utah Lady Eagles went 1-2 on a three-game road trip. CEU lost close games against the always-dangerous Salt Lake Community College Bruins and the rival Snow College Badgers. They salvaged a win against the lowly Colorado Northwestern Community College Spartans. The Eagles started their road trip on Jan. 16 when they headed north to face the SLCC Bruins. They played a good game that challenged the Bruins and, with 47 seconds left in the game, found themselves tied. The Eagles challenged the Bruins with a full court press, but lost the game due to what Coach Dave Paur said was a bad call. The call sent the Lady Bruins to the foul line, and they closed the door on the Eagles’ hopes of an upset. SLCC scraped out the win with a final score of 60-57. Coach Paur saw marked improvement in his Eagles saying, Livnat Alon and Rachel Rasmussen both had 10 points for CEU. After the tough loss to SLCC the Eagles headed to Ephraim to take on the Badgers. Once again, CEU was involved in a close game. The lady Eagles continued to show improvement against the tough Badgers, but were unable to pull out a victory, falling to Snow 79-73. The ladies were led in scoring by Kaylie Robison who had 15 points and 12 rebounds, Adrianna Cordova contributed 11 points. Robison, a freshman fromSandy, Utah, has put together quite the season for CEU. She has racked up an impressive 11 double-doubles in just 18 games. After the game against Snow, Robison had an average of .484 from the field, and leads the Eagles in points and rebounds. She’s pulled in a jaw-dropping 219 rebounds so far this year. Stacey Stringham is second on the team with 93 boards. This weekend the Eagles play host to CNCC on Friday Jan. 30 and Saturday Jan. 31st. Coach Paur said the Eagles “should do pretty well … we have to sure up our defense and get ready for the College of Southern Idaho.” CEU should be able to build some momentum this weekend and better their defense. The Eagles are looking past this weekend’s game with CNCC in preparation for the Feb. 6 rematch with CSI in Twin Falls. 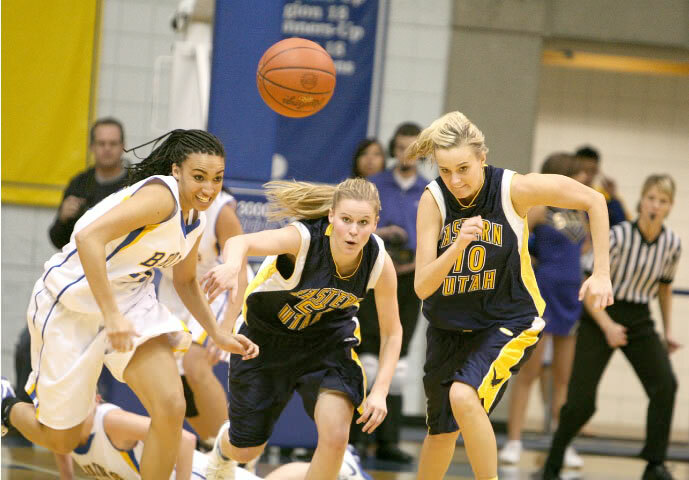 The Lady Eagles will also be looking to extract revenge on CSI after losing 55-95 at home on Jan. 10.